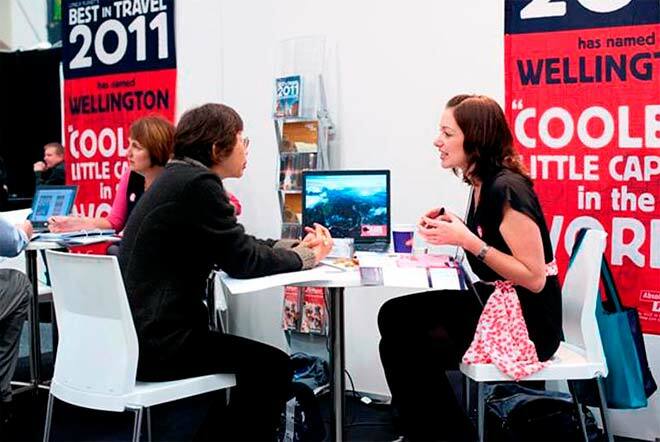 Travel promoters at a trade show push the idea of Wellington as the 'coolest little capital in the world'. The description was first used by travel publishers Lonely Planet in a 2011 guide to New Zealand. By the early 2000s New Zealanders were less concerned by the judgements of individual overseas visitors. The tourist industry was so well-developed that surveys, opinion polls and the verdicts of major travel guides had become more significant. Earlier views about the beauty of the landscape were still common, but the positive response to New Zealand's urban life – as exemplified by the 'coolest little capital' comment – was new.